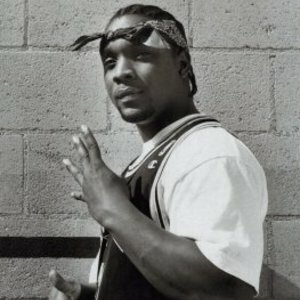 Jayo Felony is a rapper from southeast San Diego, California, who has ties to the Neighborhood Rollin 40's Crips (47th street). He was recognized by Run-DMC's Jam Master Jay with his single "Piss on Your Tombstone". He was signed to the record label owned by Jay, JMJ, in 1995. That year Jayo released his debut album, Take a Ride. In 1998, Jayo released his follow-up album, Watcha Gonna Do? on Def Jam. It featured Method Man, DMX, Mack 10, WC, Redman, Kokane, Ice Cube, E-40, 8 Ball & MJG. In 1999, he released The Underground. He was due to release his fourth album, Hotter Than Fish Grease, in 2000, but for legal reasons he didn't. In 2004, Felony appeared in a DVD released by Strange Music/MSC Entertainment entitled "T9X" where spoke about friend and fellow rapper Tech N9ne. There's is rumor where he may go to The Inc. He is also working on his proect to form a group with Mobb Deep and 40 Glocc and KURUPT...There has been a mixtape released which is rarely available for download .